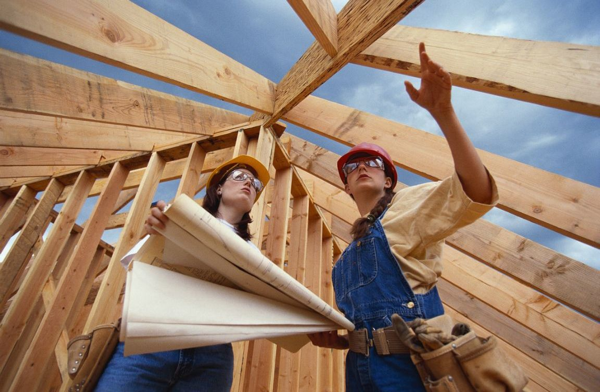 Traditionally a sector dominated by men, modern construction has something to offer for people of any age and gender. Diversifying the sector would help cut unemployment and boost the European economy, argues Patrick Liébus. Patrick Liébus is the President of European Builders Confederation (EBC), a European federation representing construction SMEs in Brussels. He is also a member of the European Economic & Social Committee. The construction sector is the EU’s largest industrial employer with 15 million workers. But only a very small percentage of these employees are women and young people. 1.5 million construction workers in the European Union are female and 92% of all the sector’s workers are over 25 years old. Young women account for only 1% of those working in the sector. There are several reasons behind this situation, from the stigma associated with skilled trades and the mistaken perception that there are fewer career opportunities in construction, to the fact that the sector is perceived as being dominated by men. Unemployment is one of the top issues on the European political agenda today. More than 23 million people were out of work in 2015 and the EU youth unemployment rate is more than double the overall unemployment rate (20.7% compared with 9%), according to Eurostat figures. On the other hand, promoting gender equality is not only a driver for economic growth but also a fundamental value of the European Union. Since the 1976 Equal Treatment Directive, the elimination of gender discrimination in access to employment and working conditions has become an increasingly prominent issue in Europe. The construction industry is struggling due to a skills shortage of both specialist and general professional figures. In certain countries the industry does not have enough apprentices to replace retiring workers and cope with demand. According to Federation of Master Builders’ research, in 2015 66% of the UK’s small construction firms admitted they had been forced to turn down new business due to this lack of resources. Almost half have been forced to outsource work to third parties rather than leave work unfinished. As Europe faces the joint challenges of an ageing population and skills shortages, it is more important than ever to tap into our full potential. Construction is no longer a dusty sector where people just get their hands dirty. Today tasks involve less physical force and require more mechanical expertise, thus suiting workers of any age and gender. The starting salaries are much higher than many people expect and there is huge capacity for career development. In addition, the small construction businesses of today and tomorrow will play an important role in the much-needed conversion towards a green economy and sustainable construction. The European Institutions should launch a Europe-wide campaign for a cultural shift against stereotypes at work in the construction sector. Moreover, schools and training centres should provide vocational counselling targeted at attracting both male and female young people into the sector, without discrimination. From the point of view of increasing the participation of young people in manual trades, entrepreneurship education should be integrated into vocational education and training curriculums. Finally, the European Social Fund should be better used to promote more gender equality in manual trades. As a European association, we have been working to close the gap in our sector. The EBC devoted its 25th anniversary in 2015 to the issue of how to involve women and young people for more inclusive construction SMEs. We have also organised a photo exhibition to present some of the fascinating personal stories of women and young people in construction. The organisations of the sector are taking up the challenge. Is the European Union ready to do the same?